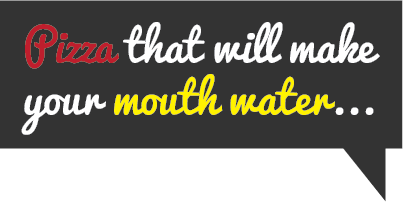 Pizza in Nags Head – Yellow Submarine Pizza & Subs offers the best pizza in Nags Head. We have been a favorite among locals and visitors since opening its doors more than 40 years ago. 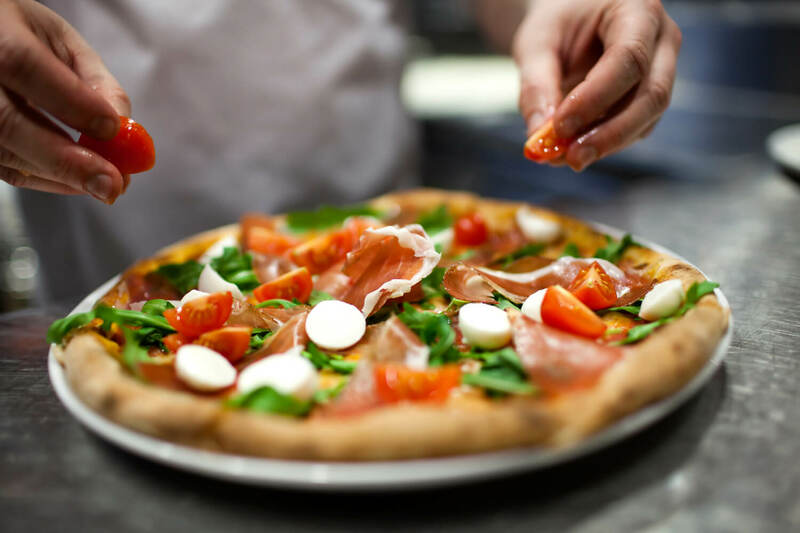 Whether you dine in or want delicious pizza delivered in Nags Head, you’ll love Yellow Submarine’s delicious hand-tossed, made-from-scratch pizzas prepared with only the freshest ingredients. Each pizza is then baked to perfection in a real stone oven. 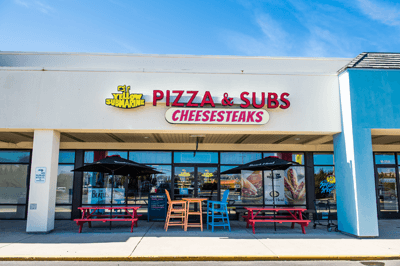 Conveniently located in the Outer Banks Mall in Nags Head, Yellow Submarine is famous for its favorite specialty pizzas like the Meat Monster, Hawaiian, Margherita, Spinach Florentine, Green and OBX Chicken White pizzas. Pizza delivery is not all Yellow Submarine is famous for. 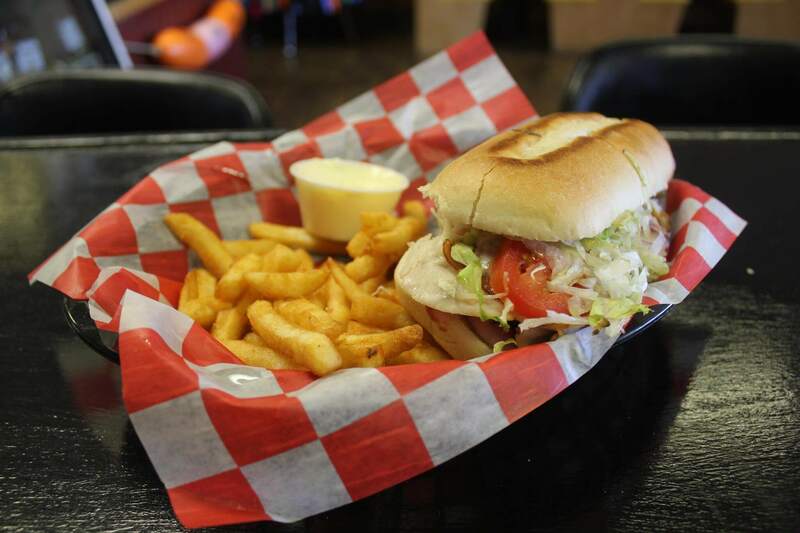 Whether you are in the mood for one of Yellow Submarine’s specialty pizzas or prefer another delicious menu item such as their authentic Philly cheesesteaks, calzones, Stromboli, oven-baked subs like the popular Italian Grinder, fresh salads, chicken wings and more, you are sure to find what you are craving at Yellow Submarine Pizza in Nags Head. Yellow Submarine is also famous for its signature Ripcurls, made from homemade pizza dough brushed with extra virgin olive oil, fresh garlic, Italian seasoning and stuffed with Mozzarella cheese. Sliced into pinwheels and then baked to perfection, Ripcurls can also be ordered with pepperoni or spinach and feta. Top it all off with one of their mouthwatering homemade desserts for a perfect dining experience. 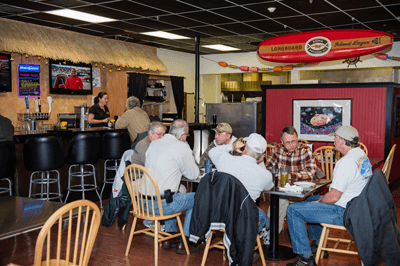 This Nags Head Pizza eatery provides convenient delivery from milepost 8.5 to 21.5, as well as a varied catering menu with party trays and six packs of domestic and imported beer for carryout and delivery. Great atmosphere and a great location make Yellow Submarine the perfect place to enjoy a delicious meal with family and friends. Come in to discover for yourself why it is considered the best pizza Nags Head! 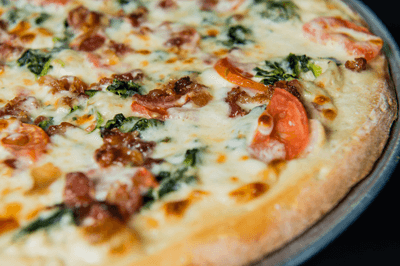 We take pride in our pizza making – freshly made sauce and dough, hand-tossed the old-fashioned way, topped with the freshest ingredients and baked in a stone oven make for the BEST PIZZA in Nags Head! Yummm! Families and large parties welcome! Carry out, delivery and dine in. Prices subject to change and certain items only available for dine in or delivery. • All subs are served on toasted WHITE sub roll. • All subs are baked in stone oven, unless requested cold. 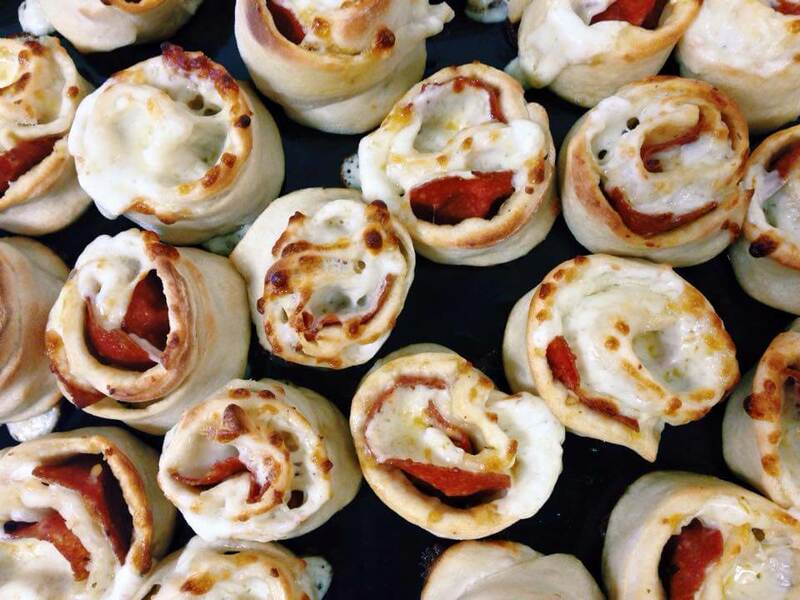 Our pizza dough brushed with extra virgin olive oil, fresh garlic, Italian seasonings stuffed with Mozzarella cheese, sliced into pinwheels then baked to perfection. Served with our signature Buttermilk Ranch and marinara sauces for dipping. Rip Curls are made to order; Flavors are sold only by the 6 or 12ct. Your favorite stuffers, Mozzarella and Ricotta cheeses folded over and baked in a stone oven, served with marinara on the side for dipping. Your favorite stuffers, Mozzarella cheese and traditional red sauce folded over and baked in a stone oven, served with marinara on the side. Served with homemade Buttermilk Ranch or Blue Cheese. Choose from regular wings or boneless wings. Hot, Mild, Honey BBQ, BBQ. Served with homemade Buttermilk Ranch or Blue Cheese. Choose from regular wings or boneless wings. Please allow 24-hour notice on 3-foot subs, wraps, subs and sandwich trays; minimum of two hours on large pizza, wing and salad orders. Albacore tuna mix with choice of cheese and toppings. Available seasonally. (Dine In Only) $1.99 up-charge for ages 11 & over. We Carry 12 beers on tap, including a selection of NC craft beers! • Dine in service closes 30 minutes prior to above hours.